We state on our website that; we offer coffee lover’s access to the best we can source, roasted in a way we enjoy the most. Often these words are humbling to us. We are now a third of the way through the year and we are happy to say that we have experienced both year on year and month on month growth. The Commercial futures market (called C Market) dictates the speculative sector’s pricing. Most coffee is pegged to that price. Almost three years ago this market was at a 36 year high. With coffees being priced at $3.60 (USD) a pound. This time last year this price was down to almost $1.20. brother’s Lovos We have also released the coffee from the brothers Lovos, which we have had other coffee lovers tell us they love it, while others being indifferent about it. We are a little disappointed with it, since we are used to the high quality that Virmax supply and we feel it is not quite up to their normal standard. 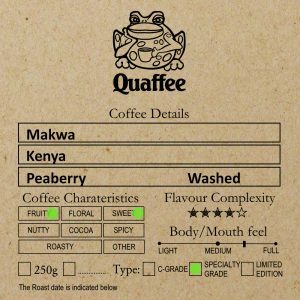 Please check either coffee.quaffee.com to see the list of coffees. 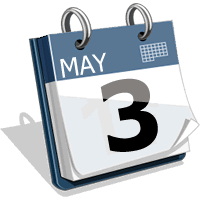 The modification date reflects the last date it was changed. There is a new F8 out, and the Ena 1 is now available with the manual frother for free again. See quaffee.com/jura while stocks last.